Gong Xi Fa Cai! Happy Lunar New Year! 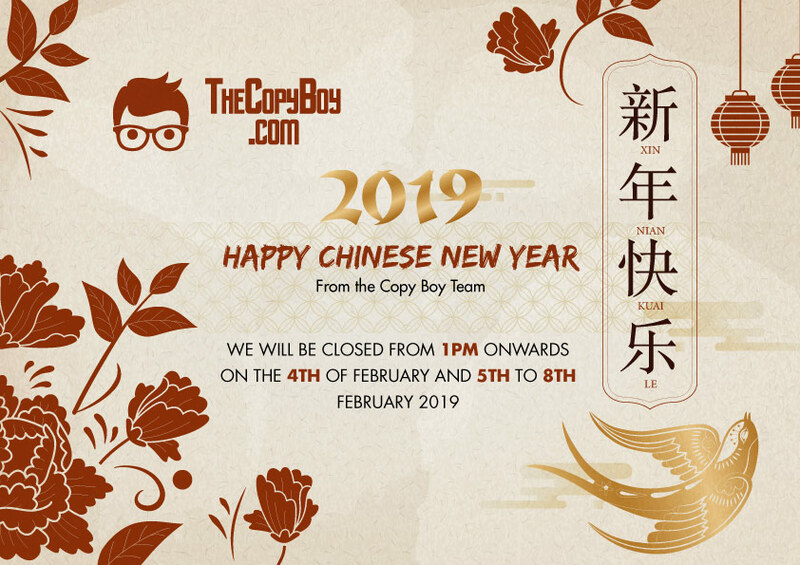 Our office will be closed from 4th Feb 2019 after 1pm till 10th Feb 2019 for the Lunar New Year holidays. Kindly ensure all orders are collected before we close for the holidays. We will reopen once again on 11th Feb 2019. Thank you for the continuous support! The Copy Boy promises customers quality print at affordable prices by implementing cost-cutting technologies and processes internally. Through automation, we managed to double our production capacity without increasing headcount. 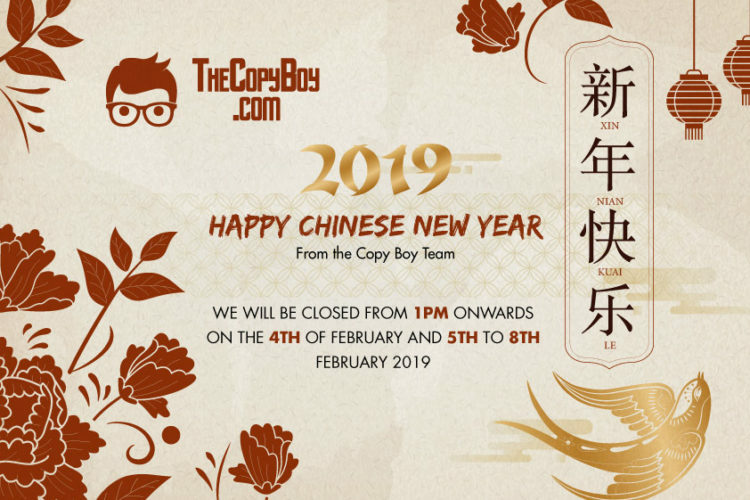 © Copyright The Copy Boy Pte Ltd 2019.